Artificial Intelligence (AI) is a current topic of conversation at both the political and social levels around the world. As it happens with the emergence of every new technology, its power and implications are starting to increase in society. Artificial Intelligence is also beginning to change the Education system and the educational institutions. Because of the power of Artificial Intelligence, the future of Education will be completely modify in the next few years. If you want to read more about the implication and power of Artificial Intelligence on Education keep reading! Artificial Intelligence (AI), specially the subfield Machine Learning is the technology that makes machines able to learn from experience. They adjust to new inputs and are able to carry out human-like tasks, emulating the characteristics and abilities of human intelligence processes. These processes can include learning, reasoning and self-correction. We live in an increasingly technologically society. Because of this, little by little every industry and field is assimilating and adapting to the new technological advancements. The area of Education is also going through this process of adaptation. For this reason, its interaction with technological developments is resulting in new ways of teaching. These new methods will be generalized in the next few years with the help of new AI systems such as Virtual Reality, Educational Robotics, Intelligent Tutoring Systems, and Learning Analytics. Nowadays we can find Virtual Reality (VR) in some areas of Education. With VR, students are able to interact with different objects or environments regarding the particular topic the lesson is about. These three-dimensional environments may be real or imaginary. For example, if they are in art class, they are able to see the inside of a museum or a given piece of art through VR. The multiple scenarios that could be reproduced with VR make it largely applicable to the many areas in education. An important characteristic of VR is that it allows multi-sensory interaction with the space object being visualized. The combination of multi-sensory interaction and visualization makes VR perfect for an effective learning experience. What is more, students might be positively affected by this active learning method. What is more, VR is an exciting new method for both students and teachers. It is a way to engage the class and create a more interesting learning environment. Experts believe that in 2030 these learning environments will be more complex and sophisticated. That way, students will be able to immerse in these environments in order to explore and get the most out of each subject. Educational Robotics is increasingly spreading in the Educational system. From a very young age, students are learning to programme small robots that place them in direct contact with technology. Doing so, learners are able to develop logical thinking and creativity. Educational Robotics stimulate their minds and could help them to get better academic results. Furthermore, Robotics can help to support educational activities. For example, within the medical field, it is incredibly important and beneficial the use of simulation systems. These simulation systems as means of learning can improve and the patient’s safety and the quality of technical assistance. However, experts believe that Educational Robotics will only find its place in a classroom if, apart from increasing the motivation of the students it can also helps them to achieve better academic results. Intelligent Tutoring System (ITS) is an online tutoring device that imitates the role of the teacher in the classroom and guide the learning of the students in different areas of Education. These systems are also able to help students when a problem or issue comes up. For instance, if the students struggles with a maths problem, the ITS will provide different feedback depending on the mistakes or responses that the student has given. These systems are even able to design and adapt their responses to the different learning sequences of each student in the class. They have many applications and experts expect these type of tools will become a key factor in the Educational systems, especially when it comes to higher Education. This area of Education consists on the measuring, compilation and analysis of student’s data throughout their learning process. This way, teachers analyze the information provided by the student’s processes and the registered information left in online educational platforms. Their aim is to detect which results or errors are the most common in order to solve and improve them. The new technologies and tools used in Education allow our digital footprint to be everywhere. Because of this, teachers can take advantage of that and, through Learning Analytics, know how the class is going academically and what results to expect of them. If you want to learn more about Artificial Intelligence and its different applications this is the perfect opportunity for you. With a Master on Artificial Intelligence and Deep Learning you will be able to increase your knowledge and specialize yourself in this field. It will provide you with a great amout of job opportunities and prepare you for the future. 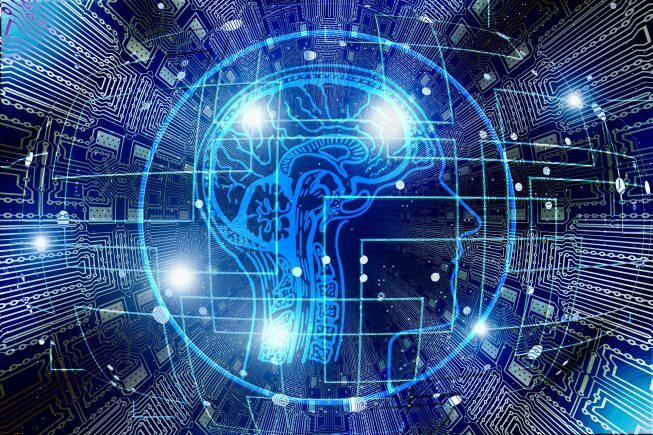 The University of Alcalá offers you the posibility to begin an outstanding program where you will learn everything about Artificial Intelligence. Furthermore, with the possibility of doing it online you can do it whenever and wherever you want. If you want to know more do not hesitate and contact us!